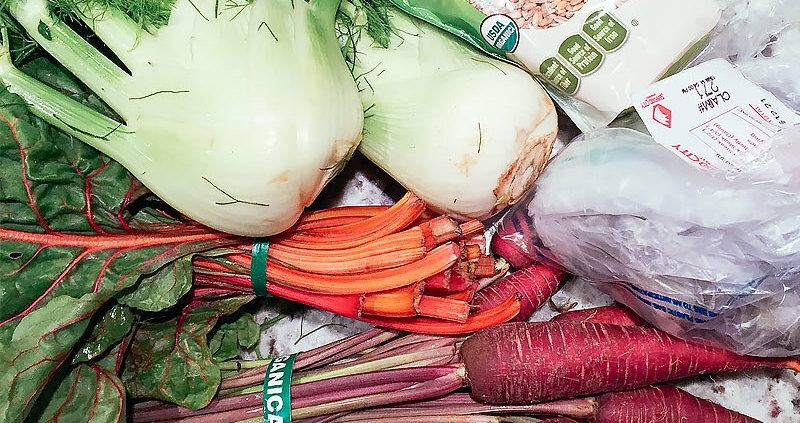 I’ve started a new series on Instagram called #FYoKitchen – it’s an FMITK Kitchen Takeover! You supply the surprise ingredients, I’ll come over and F Yo’ Kitchen real good in 60 minutes or less! Follow @itsholly and @frommyimpossiblytinykitchen and check out hashtag #FYoKitchen on Instagram to catch all of my guest kitchen adventures! This series came about from my desire to get better at thinking on my feet in terms of flavor combinations and profiles, and applying all the techniques from years and years of recipe dependency. Basically, I just wanna make sure I’m still learning. 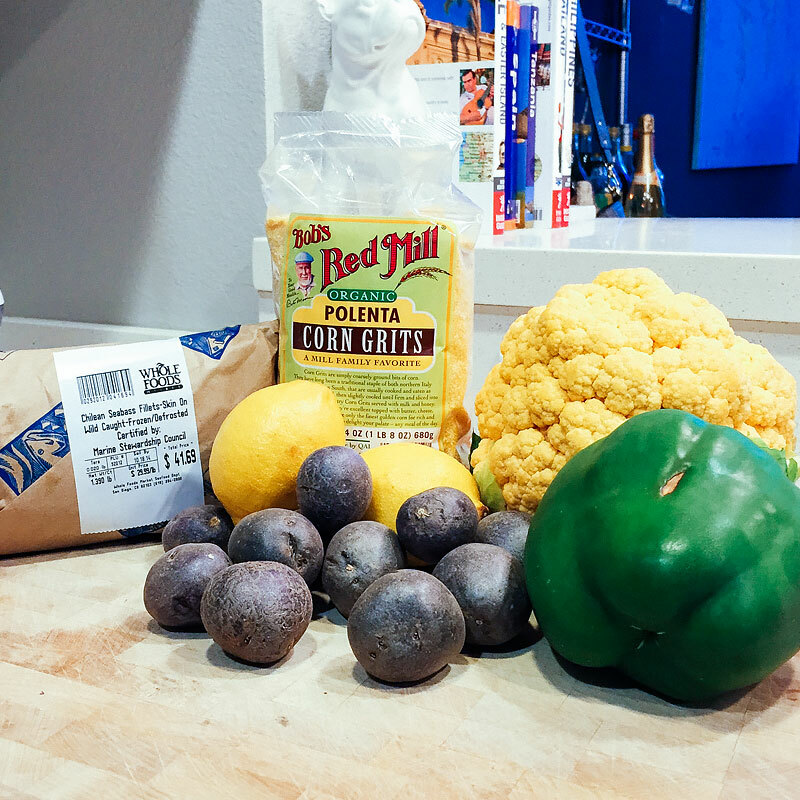 Ingredients: Chilean seabass, lemon, bell pepper, polenta, cauliflower, purple potatoes, white wine. 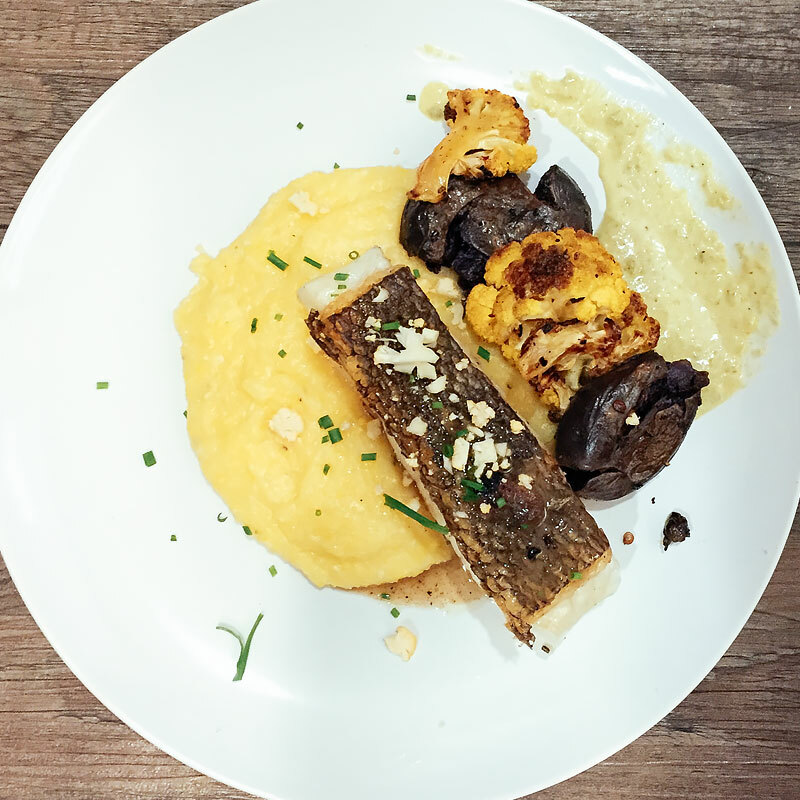 The Result: Crispy skinned seabass with roasted cauliflower, smashed purple potatoes, cheesy polenta, charred bell pepper aioli, white wine butter pan sauce.. This challenge is actually hilarious because if you know me, you know I HATE BELL PEPPERS. All the bell peppers. In any form. Mikee obviously knows this, and made sure to include them in the surprise ingredients. I persevered, and I made it through the storm. Disgusting, bell pepper dripping storm. Ugh. What makes it more hilarious is that everyone’s favorite component of the dish was the bell pepper aioli. Sigh. I started by roasting the cauliflower with olive oil, chili flakes and capers. The potatoes were boiled whole until tender, smashed then fried. For the aioli, I charred the bell pepper over a flame, peeled it then pureed along with mayonnaise, garlic and lemon juice. The seabass with cooked, skin side down, in a screaming hot cast iron pan to achieve super crispy skin. 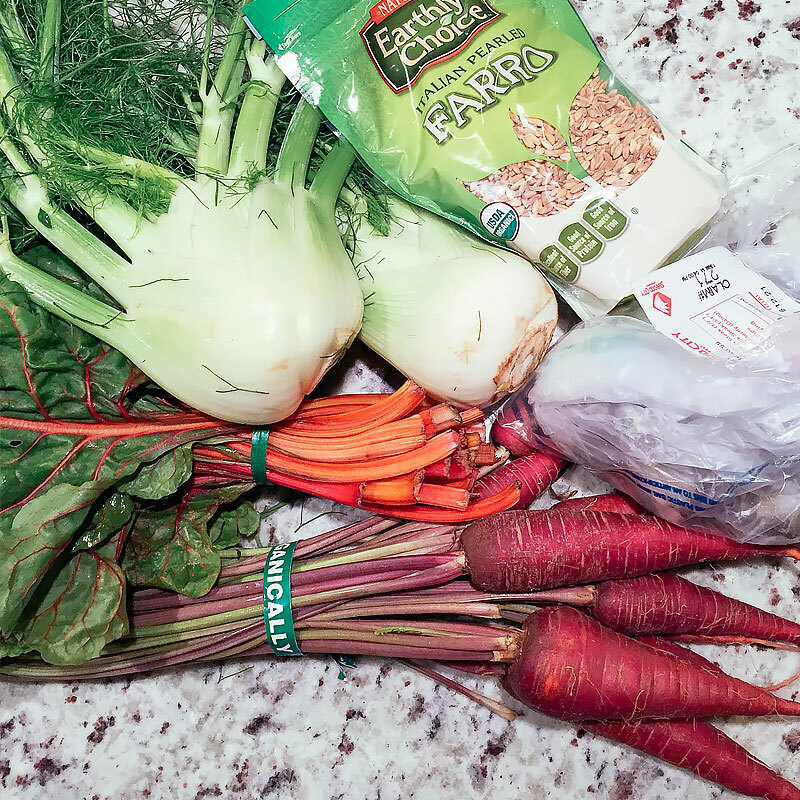 Ingredients: Tiger shrimp, red carrots, rainbow swiss chard, fennel, farro. The Result: Shrimp infused coconut milk broth with farro and chard dumplings, cinnamon roasted fennel and carrots, seared cumin tiger shrimp. I started by peeling the shrimp and frying the shells with a little onion and garlic, then simmering the coconut milk to infuse the flavor of the shrimp into the broth. The shrimp was marinated in garlic, olive oil and cumin. The farro was cooked through, then combined with garlic-sauteed swiss chard and folded into a dumpling. The carrots and fennel were drizzled with olive oil and cinnamon and roasted. 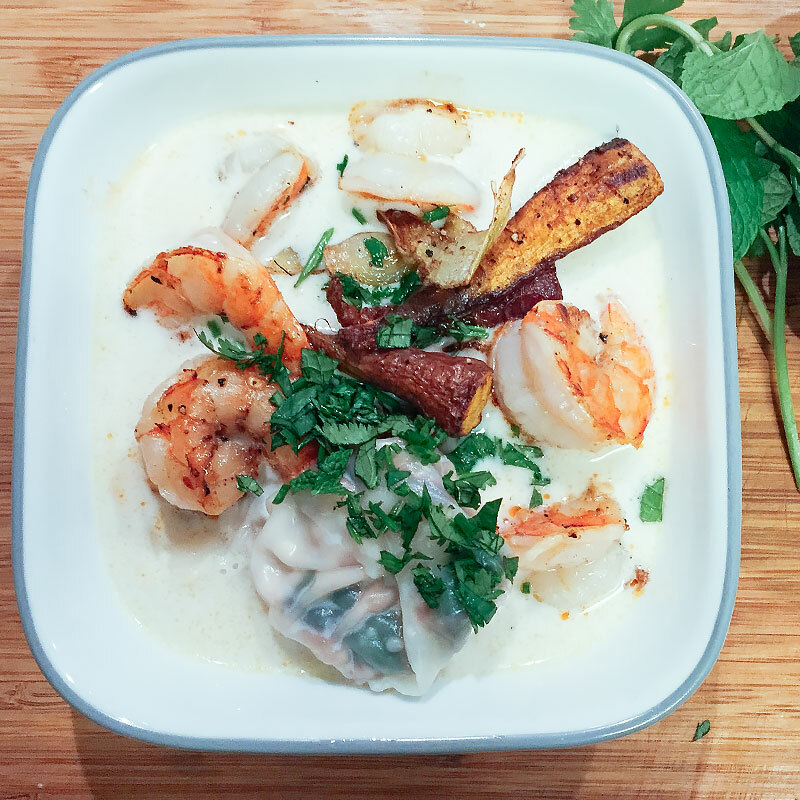 The swiss chard and farro dumplings were cooked in the coconut milk and served with the roasted veggies, topped with seared shrimp. 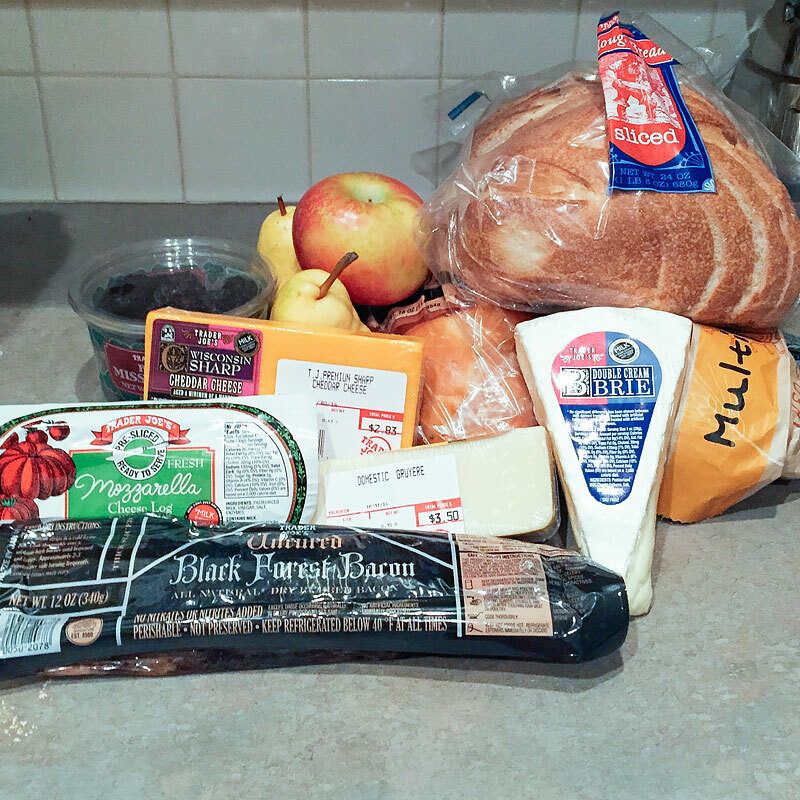 Ingredients: Multi-grain, challah and sourdough bread, mozzarella, gruyere, chedar, brie, dried figs, pears, apples. 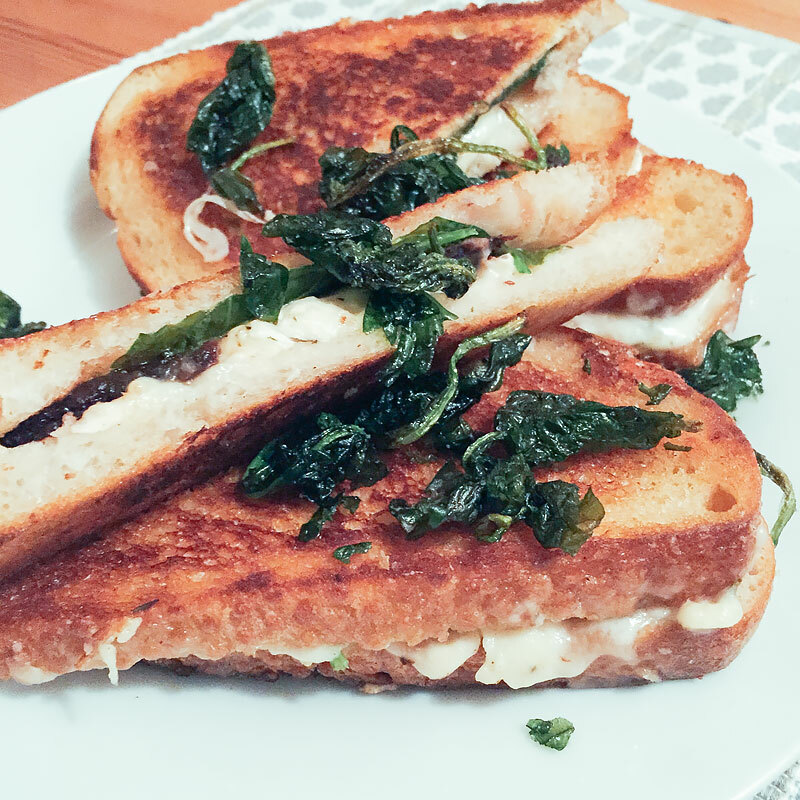 The Result: The challenge was to make 3 different grilled cheeses with the ingredients. I made 4, because I love a good challenge. 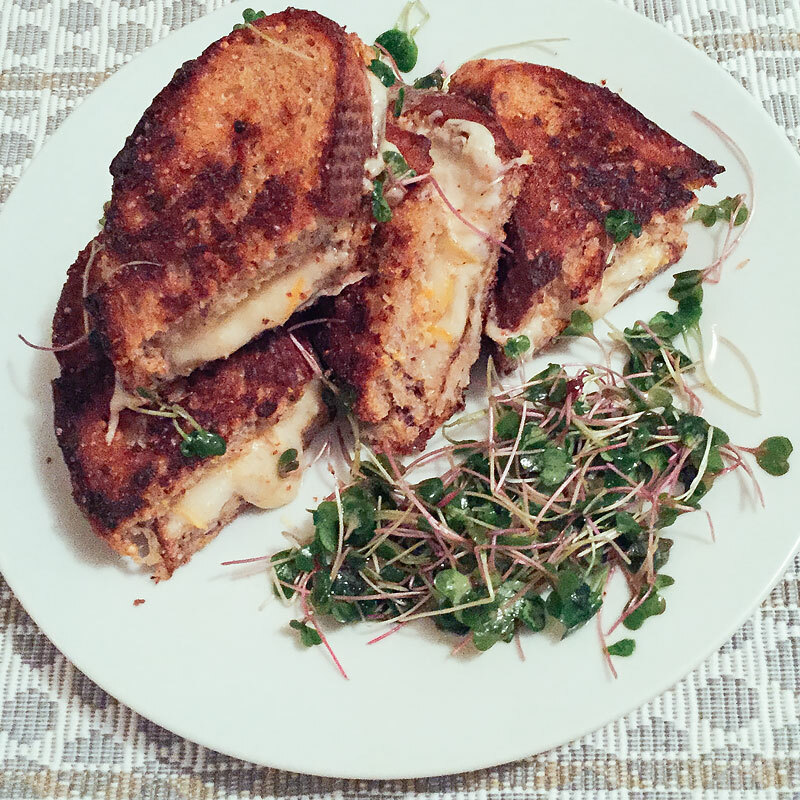 Grilled Cheese #1: Pear, gruyere and dijon on multi-grain bread with a microgreen salad, dressed with a simple vinaigrette of olive oil, white wine vinegar and lemon juice. 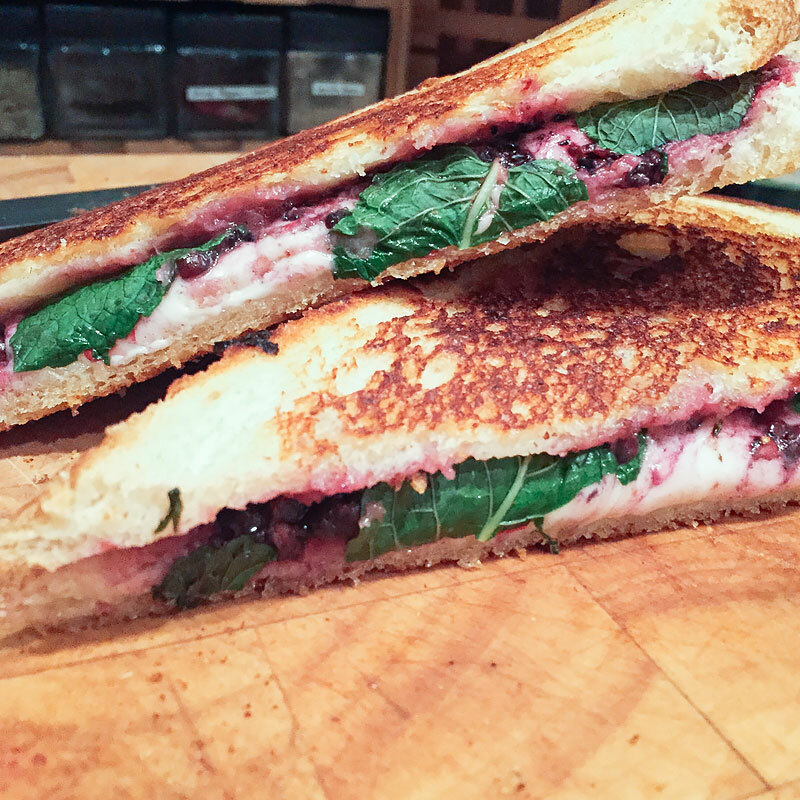 Grilled Cheese #2: Brie, fig, thyme and spinach with crispy fried spinach on top. 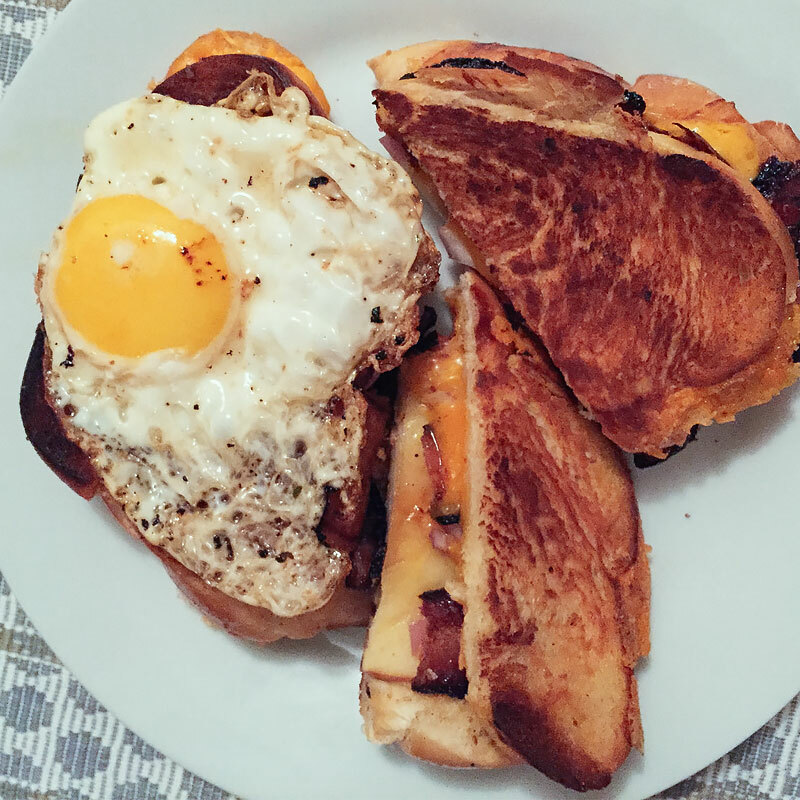 Grilled Cheese #3: Cheddar, bacon and apple with a crispy fried egg. After a few #FYoKitchens, I realized my biggest challenge is creating a cohesive dish as opposed to a bunch of individual things cooked really well on the same plate. Practice makes perfect! 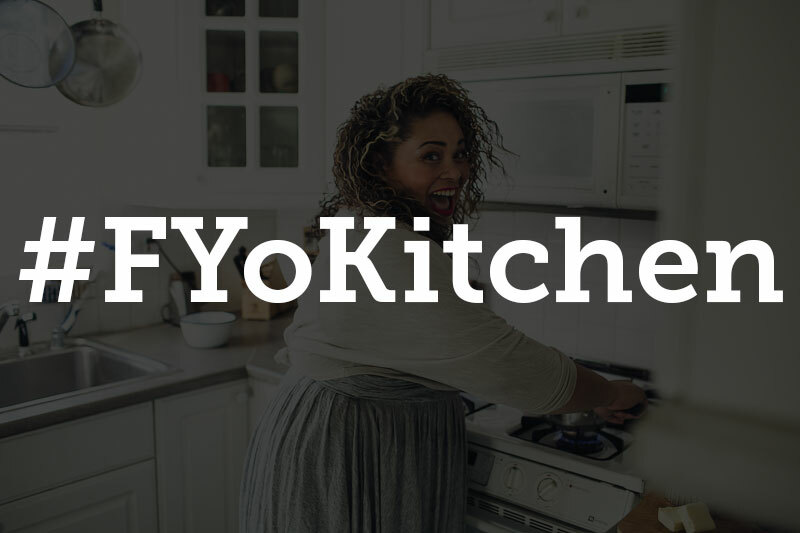 Stay tuned for more #FYoKitchen adventures! Mmmm, they all look good, but I wish I was there to try all of those grilled cheese sammiches :)! Jorge and I need to do this! !